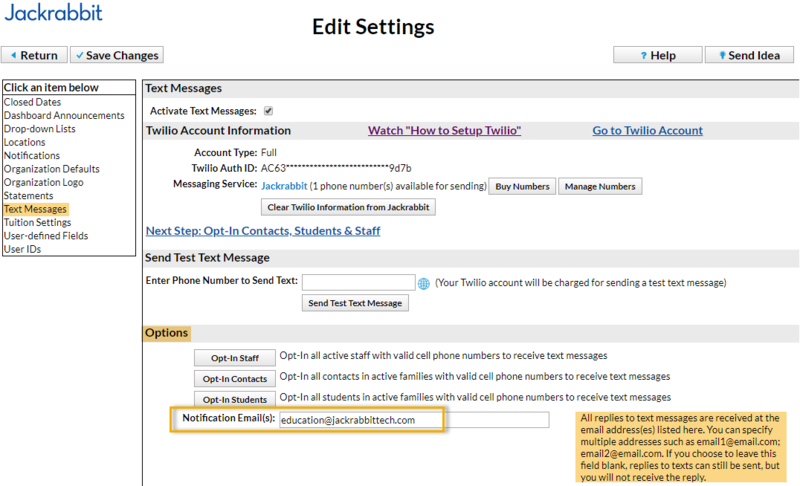 If you send a text that requires a reply, you'll receive the reply in email form to the email address(es) you designate as your Notification Email address. You do not incur a fee for a reply sent to you, so your texting credit isn't reduced. The notification email address is assigned from Tools > Edit Settings > Text Messages > Options > Notification Emails. This notification email address should not be changed back and forth between different email addresses, it should remain the same for all text messages you send. This is because it is linked to your texting number, it is not linked to the specific text messages you send. For example, if you send a text message with your notification email address set to 123@email.com and then you change the notification email address to 987@email.com, ALL text replies after this change are directed to 987@email.com because it is now the designated notification email address. No more text replies will be received at 123@email.com. If the reply email is opened on your smart phone using your smart phone's email app, you can click on a link to quickly and easily reply back via text message. 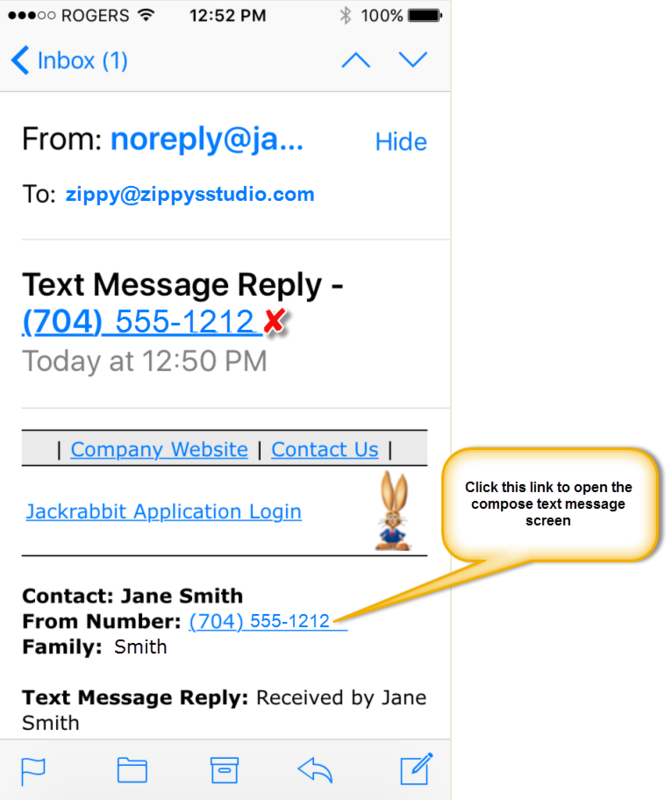 When that email is opened on your smart phone using the smart phone's email app (not your email provider's app), you can click on the telephone number link in the body of the email (not the link in the subject line) to open the compose text message screen enabling you to respond to their text reply via text message. 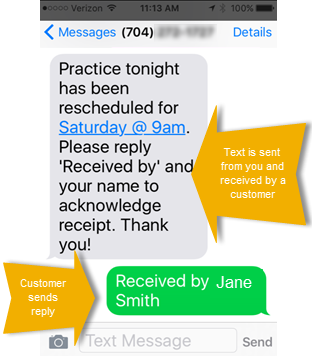 This text reply will be sent from your personal smart phone number - not your organization's text number.